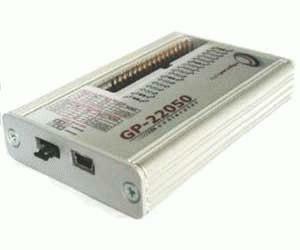 The GP-22050 is an entry-level USB 2.0 high speed pattern generator, logic analyser, and bi-directional protocol exerciser / analyser. It offers a flexible PC-based instrumentation solution to generate digital stimuli, collect data, or interface electronic boards with specific bi-directional protocols. The GP-22050 is controlled with the 8PI Control Panel software and enables 3 basic modes of operation: ADWG or pattern generator, Analyser and JTAG port controller. Additional modes of operation can be purchased to extend the GP-22050 capabilities.